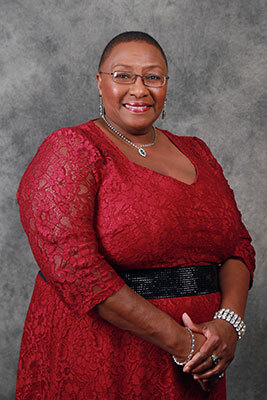 Dr. Peaches Henry is in her first term as president of the Waco Branch of the NAACP. A committed community volunteer, Dr. Henry has been involved in the Parent Teacher Association in Waco ISD, serving as the secretary for both the Lake Air PTA and the Waco High PTA. For a number of years, she served on the WISD Superintendent’s Parent Advisory Committee for Advanced Studies. Currently, she is McLennan Community College’s Partners in Education Liaison to Waco High School. In 2013, she served as the EnrollAmerica Lead Volunteer in charge of Faith Community Outreach for the Affordable Care Act. She is a member of the Gamma Upsilon chapter of the National Sorority of Phi Delta Kappa, an educational sorority. She works on the chapter’s annual Commission on Civil Rights. A member of the Waco Alumnae chapter of Delta Sigma Theta Sorority, she serves on her sorority’s Social Action Committee. Before becoming president of the Waco NAACP, Dr. Henry served as the unit’s membership committee chairwoman. In 2013, she launched a new voter education/registration initiative called Project VIER (Voter Identification Education Registration) which brings together area organizations which have a similar mission to the NAACP’s including Delta Sigma Theta Sorority, Alpha Phi Alpha Fraternity, Alpha Kappa Alpha Sorority, the Community Race Relations Coalition, and the Women League of Voters among others. Currently, Dr. Henry is a professor at McLennan Community College where she teaches composition and British literature. With a masters and a doctorate in English and Comparative Literature from Columbia University in New York, she is the author of articles on the poet Elizabeth Barrett Browning and the journalist Frances Power Cobbe. She has spoken at national and international conferences in Boston, Chicago, Great Britain, Australia, and Canada. Dr. Henry has received several teaching awards. A former director of Vacation Bible School, Dr. Henry is a member of Carver Park Baptist Church where she has been a Sunday School teacher for over a decade. She is the proud mother of Corey Roberts Henry, a graduate of Waco High School and currently a junior at the University of Texas at Austin. Florence Clarke is a community volunteer. She is the coordinator of the St. Luke African Methodist Episcopal (AME) Church Community Garden. Retired, she serves as secretary of the Tenth Episcopal District of the AME Church Lay Organization. Mrs. Clarke is an active member of St. Luke AME Church where she serves as a trustee, the director of Lay Activities, and first vice-president of the Ushers, Nurses, and Greeters. 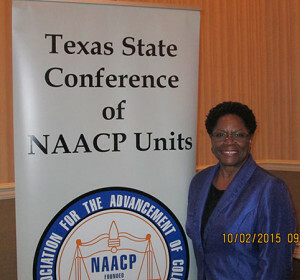 Dr. Gail Mays is in her first term as assistant secretary of the Waco Branch of the NAACP. Dr. Mays is active in the Waco community. She is the president of Delta Alpha Omega chapter, Alpha Kappa Alpha Sorority, Inc. and advisor for Gamma Sigma Girl Scouts at Waco High School. She is also a very active member of Carver Park Baptist Church. Currently, Dr. Mays is an assistant principal at Waco High School. She has been in education for sixteen years. Before moving into administration, she taught grades PK-5 and worked as an educational diagnostician. Dr. Mays’ interest in lifelong learning is evident in her love for education. She began her education at McLennan Community College where she obtained her Associates degree in general studies. She went on to pursue her doctoral degree in educational leadership at the University of Mary Hardin Baylor. Her dissertation focused on high school dropouts and teacher efficacy to motivate students to graduation. Dr. Mays is married to Reuben Mays and is the proud mother of Michael, who will attend Parker University majoring in doctor of chiropractic, and Micayla, who will attend the University of North Texas majoring in theater arts. In her leisure time, she enjoys spending time with her family, traveling, cooking and reading. 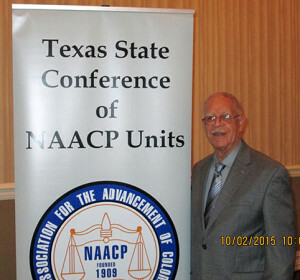 Mr. Vernon Clarke is in his first term as treasurer of the Waco Branch of the NAACP. Mr. Clarke retired after working twenty-one years in electronics and avionics in the United States Air Force and sixteen years at Raytheon as a production manager and industrial engineer. A dedicated community volunteer, Mr. Clarke is assistant coordinator of the St. Luke African Methodist Episcopal (AME) Church Community Garden. 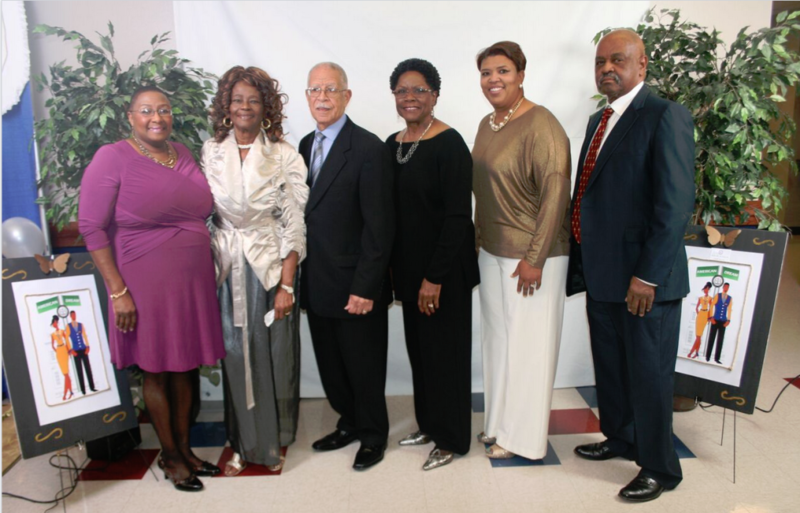 In addition to serving as treasurer for the Waco NAACP, Mr. Clarke is also treasurer for the Northwest Texas Conference Ushers, Nurses and Greeters and the Northwest Texas Conference Lay Organization. He is also parliamentarian for the AME Church Tenth Episcopal District State Ushers, Nurses, and Greeters. Mr. Clarke is an active member of St. Luke AME Church where he serves as steward pro-tem, financial secretary and statistician, usher, van driver, and class leader. A volunteer in the McLennan Community College Adult Education GED Program, Mr. Clarke was selected as the 2014 Volunteer of the Year. Norman J. Manning is a Waco native who is a longtime community activist. In addition to serving as the Legal Redress Committee chair, Manning serves as the Waco NAACP’s Legal Redress Committee chairman. 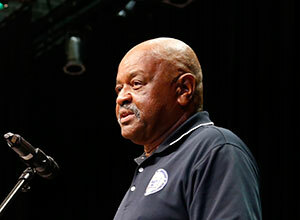 A semi-retired truck driver, Manning is in his third three-year term as a Waco ISD School Board trustee. He is the financial secretary for the A. J. Moore Alumni Association and vice president and treasurer of the A. J. Moore Class of 1968. He is the chairman of the Trustee Board of Bracks Chapel United Methodist and president of the Combined Methodist Men of Waco.